Paul Albano currently serves as Lima One Capital’s business development representative for the Tampa, Orlando, and Jacksonville markets with his office and primary focus in the Tampa area. He is responsible for originating investment loans for the company and discussing current financing options for residential real estate investors. Lima One Capital works with investors all over the country to provide funding for fix and flip projects as well as rental properties. The fix and flip loan is for the investor looking to buy, rehab, and sell the property on the retail market. This loan has a 13 month term with no pre-payment penalty and Lima One Capital will lend on the purchase price as well as rehab budget. For rental properties, Lima One Capital offers their rental 30 loan. This is a 30 year fixed rate, fully amortized loan for investors looking to purchase, refinance, or cash out on a single property or a portfolio. Paul is the son of a Marine and has resided in multiple states over the course of his lifetime. 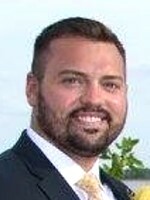 He has extensive sales knowledge working as both inside and outside sales for Ferguson Enterprises and, most recently, Wool Plumbing Supply in the Tampa area, before joining Lima One Capital. I’m looking to buy houses so it can be rented out to the disable, senior citizens, VETS., homeless. What is your LTV for lending, your going interest rate and terms?